More than 1 billion shopping sessions take place on the Moovweb platform annually. In the digital world, speed is equated with revenue. 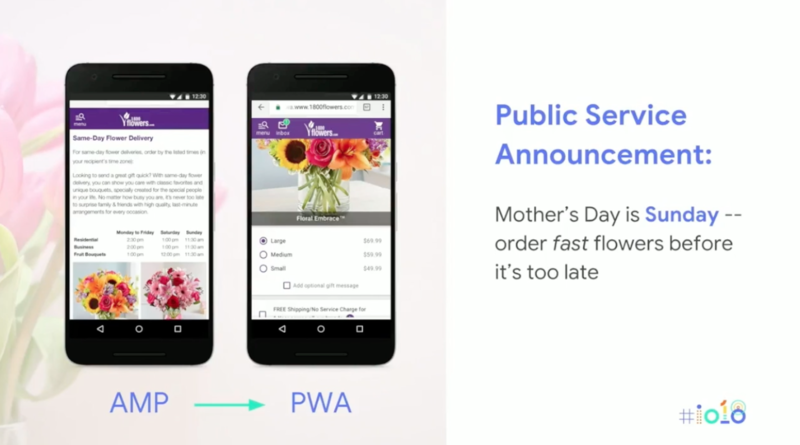 Deliver an engaging, converting, and delighting mobile experience to customers with Progressive Web Apps (PWAs). PWAs are lightning fast, app-like websites that give consumers the engaging experience they love from apps in the convenience of their mobile browser where they search and shop. With Moovweb, building engaging PWAs is a matter of weeks, without disruption the experience you currently provide. PWAs need APIs. Moovweb's Node-based cloud platform securely converts your existing native app APIs as well as creates synthetic APIs for missing functionality, such as demand generation, SEO and CMS content. PWAs need APIs. Moovweb’s Node-based cloud platform securely converts any existing native app API you use and creates synthetic APIs for any missing functionality, such as demand generation, SEO, and CMS content.  The Moovweb platform then leverages your current investments and e-commerce platform to deliver lightning fast, secure, digital experiences by optimizing load speeds at every level. Our simple yet powerful management tools make it easy to make real-time improvement without support from IT. "The impact was immediately felt and we saw a 20% lift in conversion within the first month"
"Our choice to go with Moovweb paid for itself in one quarter. We've had exceptional mobile business growth with visits up 34%, conversion rate up 93%, and revenue up 142%." "Moovweb helped improve the perfomance of our mobile experience. The Moovweb-optimized website has provided a 70% increase in conversion rates and 13% increase in average order value." Moovweb is an enterprise cloud platform that delivers a mobile-first presentation layer for your websites regardless of your web platform or the user’s device. 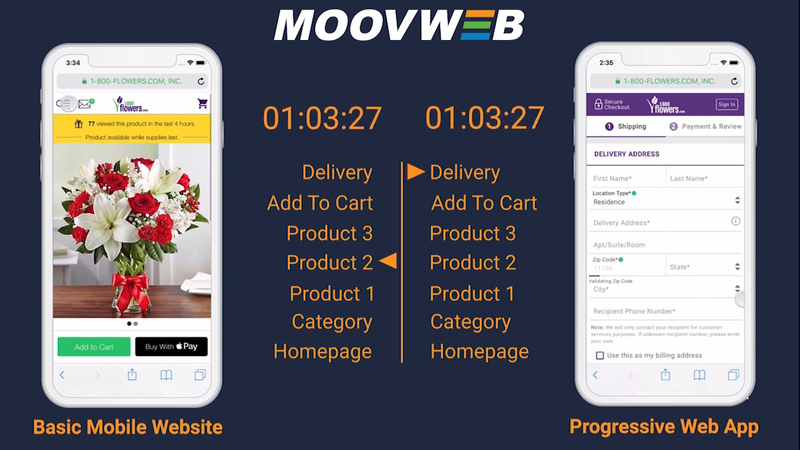 Moovweb makes your sites faster, more effective in meeting your business goals and better able to adapt to changing consumer demands. Moovweb uses secure cloud technology, sophisticated caching and rendering, and APIs to deliver an mobile-first presentation layer without replatforming or rewriting your existing site. Moovweb offers rapid deployment, easy management and unmatched reliability. Moovweb’s PCI DSS Level 1 Certified platform operates across 700 servers in nine data centers globally for unlimited scalability and reliability. Easy management of site content and layout that allows business users to make UX changes without the need for developers. Significantly more impactful than traditional A/B optimization tools, Moovweb’s server-side approach allows for testing at scale of major UX elements such as flow, usability, and context.